Tonight I try to escape these bloodhounds once more … I have too great a soul to die like a criminal. At the end of Booth’s escape, Booth and David Herold were sleeping in a tobacco barn at Richard Garrett’s Virginia farmhouse when federal troops surrounded them. Herold surrendered, but Booth refused. After several hours of negotiations, the soldiers set the barn on fire. Union soldier Thomas “Boston” Corbett fired the fatal shot into Booth’s neck, ending his escape and avenging the assassinated Lincoln. 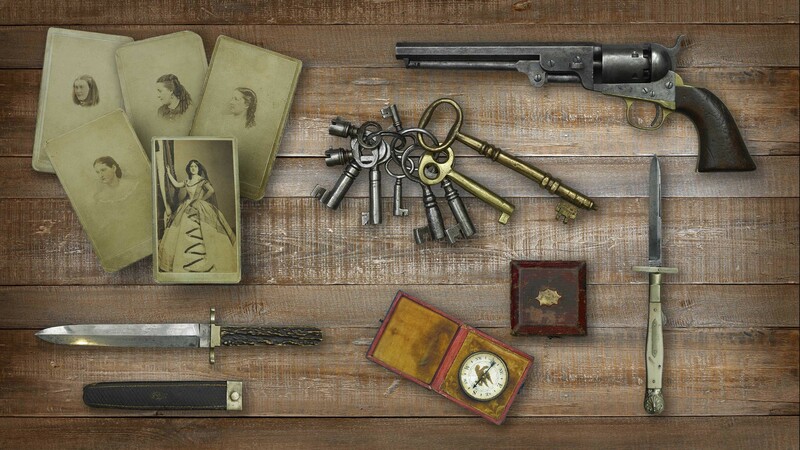 The objects found on Booth’s person showed the amount of planning he had put into his escape. He used these weapons for defense and the map and compass to navigate. In contrast, Booth’s photos of his girlfriends show his human side. He left behind a successful career as a popular actor to act on his hatred of Lincoln. Soldiers also found Booth’s diary on his person, giving insight into his motives. Read the full transcript. 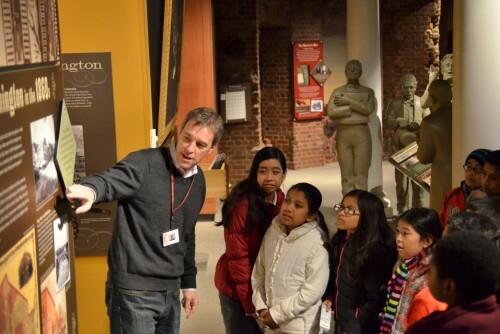 John Wilkes Booth’s escape from Washington lasted 12 days. See what he had with him during his journey. Booth picked up this revolver at Mary Surratt’s tavern after he escaped from Washington. 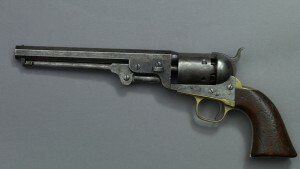 U.S. Army soldiers recovered the weapon after they captured and killed Booth. 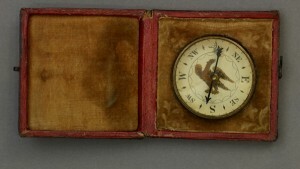 Booth used this compass to navigate through southern Maryland and northern Virginia during his escape. 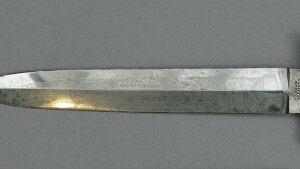 U.S. Army soldiers recovered it from Booth’s body after they captured and killed him. 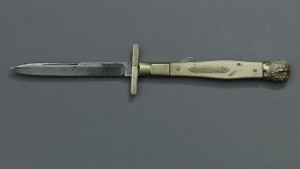 Booth carried this switchblade with him during his escape. It was used as evidence in the trial of his fellow conspirators. 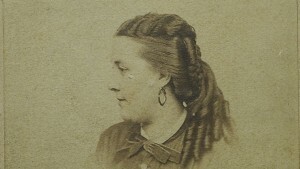 Four of the five photos Booth carried with him on his escape were of actresses, including Fanny Brown (1837-1891). 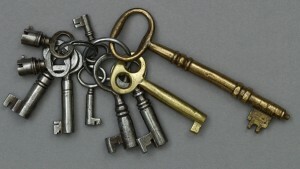 This set of keys belonged to Booth and were found after his death. 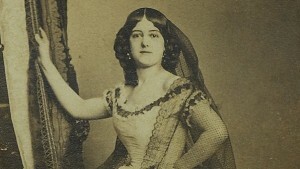 Lucy Hale was rumored to be the secret fiancée of John Wilkes Booth. Her father was Senator John Hale of New Hampshire, an ardent abolitionist. After the assassination, Hale’s parents went to great lengths to disassociate their daughter from Booth. 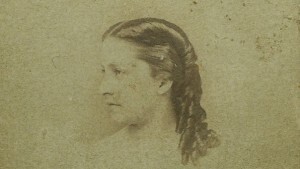 Four of the five photos Booth carried with him on his escape were of actresses, including Helen Western (1844-1868). 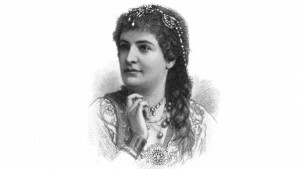 Four of the five photos Booth carried with him on his escape were of actresses, including Effie Germon (1845-1914). Germon was on the stage at another Washington theatre, Grover’s, the night that Booth murdered Lincoln. Tad Lincoln, the president’s son, was in the audience for a performance of Aladdin or the Wonderful Lamp. 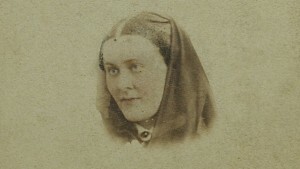 Four of the five photos Booth carried with him on his escape were of actresses, including Alice Grey.